At the start of June I did a road trip around Scotland with my brother and his partner. Conveniently, she is Scottish but also knows some English words, so she was able to interpret for us. To meet them I travelled up to Perth, which is above Edinburgh. On the train from Cambridge to Peterborough, there was a 20 minute delay because there were swans on the track. Unless the train's wheels are made of something softer than swan down, I fail to see the problem. Based on the street signs, the biggest tourist attraction in Perth is the crematorium. As the rain teemed down, I began to suspect that's because it's the only warm spot in town. 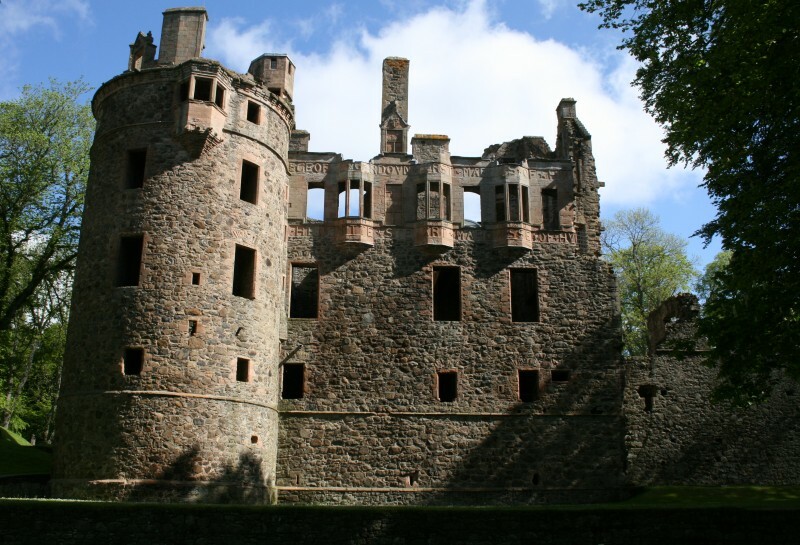 They picked me up and we drove to Scone Castle (pronunciation: "Scoon"). Really? 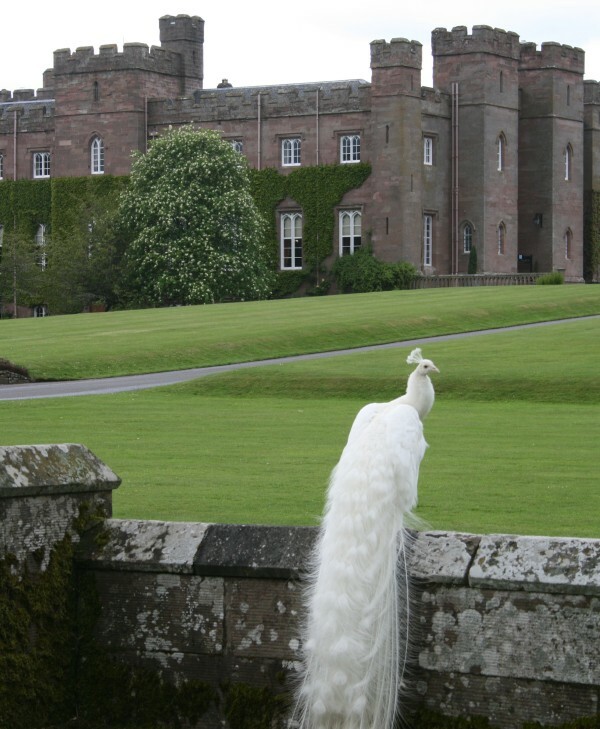 The "Stone of Scone" is pronounced "Stone of Scoon"? Two of those three words are nearly identical. But if you point out to Scots that they've made an error, they aren't even grateful. And even less so if you point it out each time you go past a Vodafoon shop. 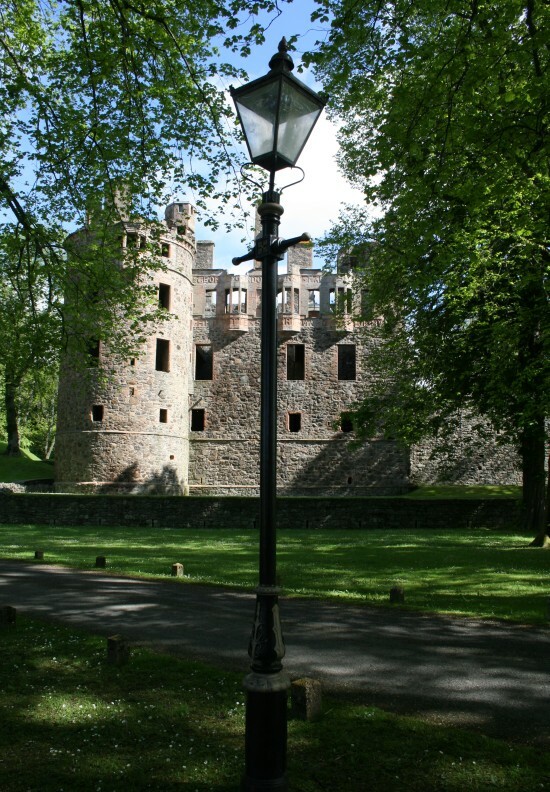 We roamed around the castle grounds for a while, which are very nice. 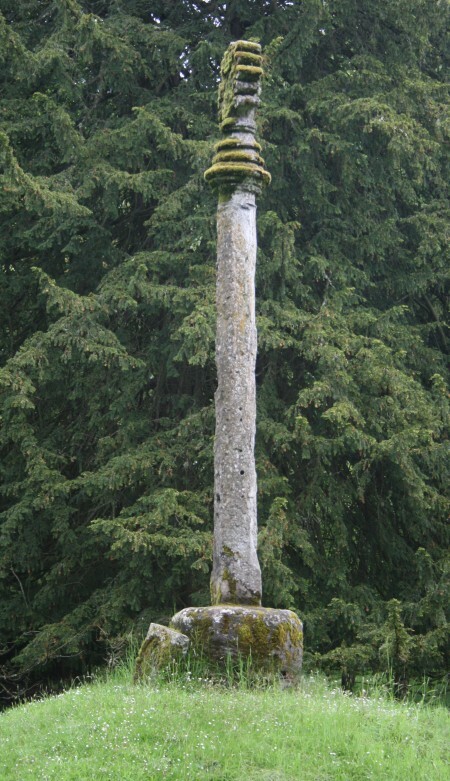 Scone was the home of the Stone of Destiny - the corronation stone of Scottish kings. It was taken to Westminster Abby by Edward I in 1296, and used in the corronation of later monarchs. 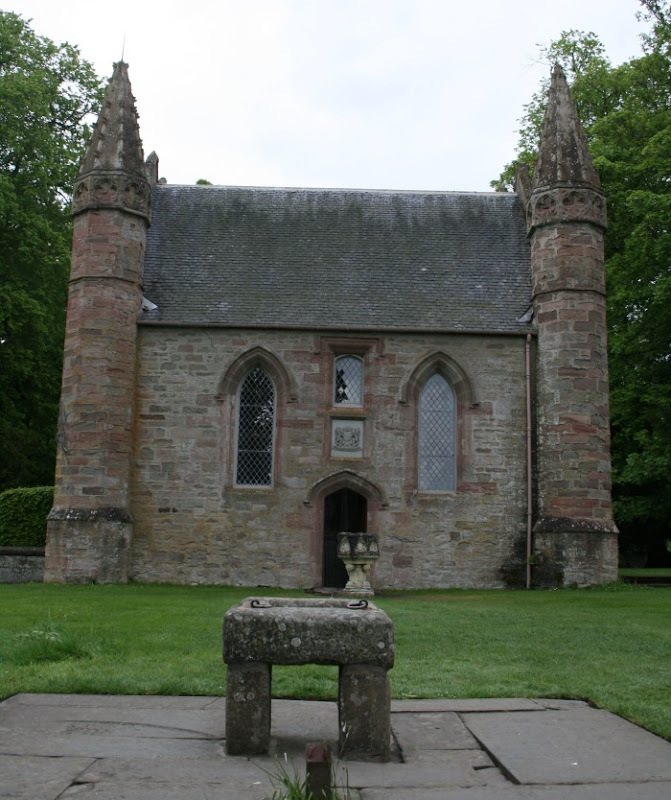 It was returned to Scotland in 1996, but only a replica now stands in its spot in front of the chapel. 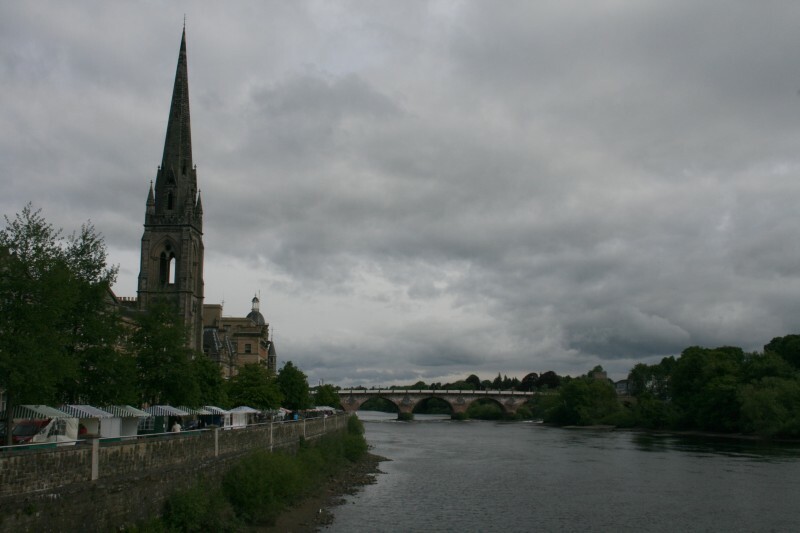 That evening, we drove up to a village called Huntly, in Aberdeenshire. There is a very pretty castle ruin not far from the town centre. You can view it for free if you climb over the fence after closing time. That's the authentic Scottish way.